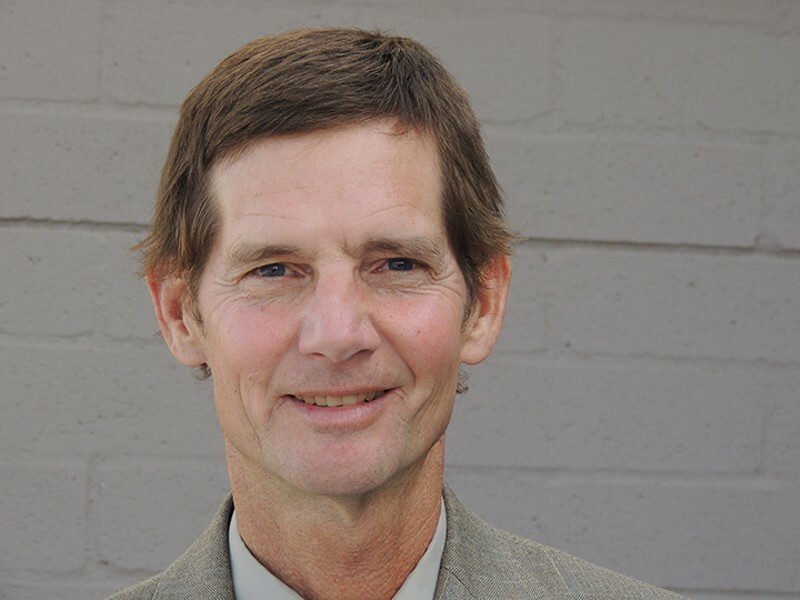 Tucson City Councilman Steve Kozachik represents midtown Ward 6. He recently appeared on Zona Politics with Jim Nintzel to discuss the March for Our Lives, the future of Broadway Boulevard between downtown and Country Club Road, and his thoughts on the possibility of hosting the F-35 at Davis-Monthan Air Force Base. This is a condensed and edited transcript from that interview. We have seen a pretty amazing movement developing on the gun front. The recent March for Our Lives in the last week had kids and adults coming out to protest against gun violence. You have also been working on this issue for some time. The state has undermined you at every turn. Are you happy to see this energy out there? Yeah it's great. There have been comparisons to the '60s and '70s. My sense, though, is that walking out of class for 17 minutes and doing one march is not the '60s and '70s. If we want to rewind the tape, in the '60s we lost a president. We lost a presidential candidate, the Kennedys. We lost Martin Luther King Jr. There was the whole Vietnam thing going on, civil rights, women's rights, the environmental movement. We saw our fathers and brothers and sons be shipped off to Vietnam where we were getting the fake news about phony body counts coming back to justify that war, and we stuck with it for years and years. We saw a president come down and a change of administration there. I absolutely applaud the young people who are out in the streets right now. I've met with the people from the metropolitan education commission and spoken with this exact thing. That you need to find the policy issue that really makes you passionately want to get involved. Educate yourself on it and carry through. If this is a 17-minute walkout and one march and you think you've achieved anything, especially on an issue that's as contentious with a group like the NRA that's as ingrained as they are, then you haven't learned from history. Many of us, our age, have been walking this thing for the last 20 years since Columbine happened. That wasn't enough to get the young people energized. The people that we saw two weeks ago weren't even born when Columbine happened. That's how long this issues been going on. I completely welcome them to this effort, to this movement. I hope it is a movement. Don't expect it to be easy. Don't expect it to be quick. Young folks will find that many of the politicians that they want to get to flip votes are bought and paid for by the same group that they're opposing right now, the NRA. It's going to be tough. The city is now required to auction off firearms that come into its possession. We are now the state's arms dealer. For years and years, we had a policy on our books that said if we, the city, comes into possession of a weapon, whether it be through the judicial process or whether somebody simply turns it over to us and asks us to dispose of the weapon, to get rid of it, we could do that. Mark Finchem, an Oro Valley state representative, decided that was in violation of state law, that we should sell all the guns that come into our possession back into circulation. His argument at the time was that this was going to help us balance our budget. We took that all the way up to the state Supreme Court and we lost. Ducey's now packed the state Supreme Court, so no great surprise there. Yet, now, when someone turns a weapon in to us, or it comes in through the judicial system, we're compelled now by law to sell that weapon back into circulation. We have sold a few hundred back into circulation. I think 15 of them were semi-automatic weapons. This balancing budget canard that Finchem threw out and the state legislature threw out, we've generated about $85,000 through the sale of all those 400-and-some weapons. That wouldn't put one cop through the academy. This isn't about a budget-balancing thing, this is about the whole issue that guns in this state are some kind of religious icon that our state Legislature wants to protect and preserve. We now have to take your weapon that you had sitting in your garage for 10 years, you've got grandkids now, you want it out of their arms' reach—we can't destroy them anymore. We have to sell them, whether it's an AR, whether it's a Glock, whether it's a shotgun. We're not balancing our budget with it. It's simply sad that we have a state attorney general, who during the course of this Supreme Court fight, went on record saying that, "The more guns in circulation, the safer the community." I don't buy that, and I think most of my constituents don't buy that. The Broadway widening is moving forward. You've got Rio Nuevo on board. What's the vision for what Broadway will look like when this is done? I didn't support it. I still don't support it. I think it's a waste of taxpayer dollars. I said that for four years while we were going through the planning process. The traffic counts don't justify widening Broadway. What we should be doing is spending the taxpayer dollars to work outside the curb lines and create senses of place, destinations. We worked with the Rio Nuevo board, who went out and spent about $25,000 to hire a group called Project for Public Spaces. PPS is an internationally known group who goes in all over the world and does that. Creates destinations, creates senses of place, creates commercial nodes along major transit corridors. We now have an intergovernmental agreement with Rio Nuevo to engage them with the property owners. So that, for instance, if there are 10 properties and they're all going to lose their parking spaces, Rio can now walk in and negotiate individually with these 10 property owners, saying, "Do you want to stay? Do you want to go? You're going to lose your property, you're going to lose your parking. Perhaps if eight of the 10 of you want to stay, we can use the two of those buildings. Knock them down and create the parking, sell the other eight." Then bring PPS in to renovate the other properties in ways that are walkable for the neighborhoods around, create bicycle accessibility. The Pentagon considering moving the F-35 here. Your thoughts on the possibility that Davis-Monthan might be home to this jet? For several years now I've been suggesting—and I think it has validity—that if we place all of our eggs in the basket of the F-35, it even puts Davis-Monthan at a greater vulnerability of getting BRAC'ed in a Base Realignment and Closure. The city went out and hired a study several years ago and the guy came back and said, "You've got the boneyard. You've got the air operation center, which is an international pacific theater operations center. It's high end that you're doing the traffic control for these different theaters. You've got the F-16. You've got the A-10; they just got another 10-year life span. We've got the Goldwater Range; it's a training area for multiple units from all over the world." I don't think that we need to bring the F-35 into this community with the collateral damage that a lot of people are suggesting it would have from a social justice standpoint, from a noise standpoint, from a property value standpoint. I really don't think that groups like the DM50 ought to be throwing all their eggs in that one basket, saying it's F-35 or bust. I think that's a fool's errand. I think that we have enough to sell, with respect to the various missions that the D-M has to offer, that we can protect and preserve that for the long term without having to go all in on the F-35.